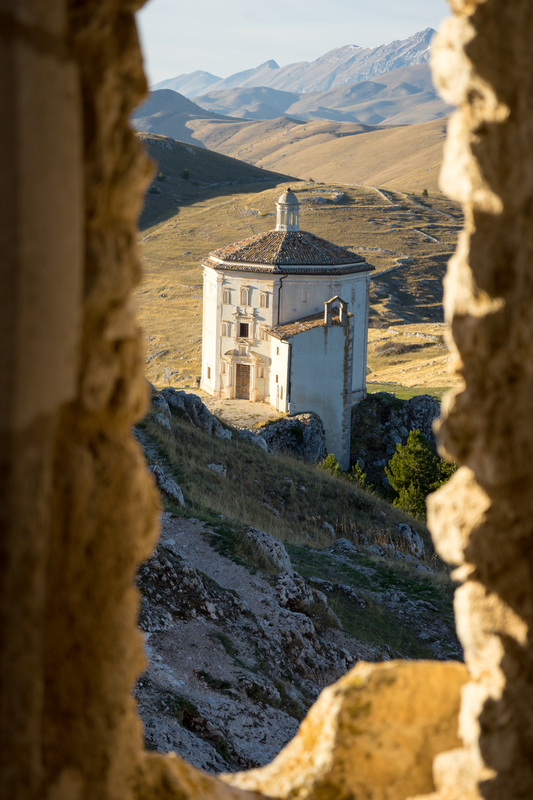 Pizza di Pasqua from Le Marche, meaning “Easter pizza” is also known as crescia di Pasqua and pizza al formaggio, can be either sweet or savoury. It is very similar to pizza di Pasqua from Lazio and pizza al formaggio from Umbria. 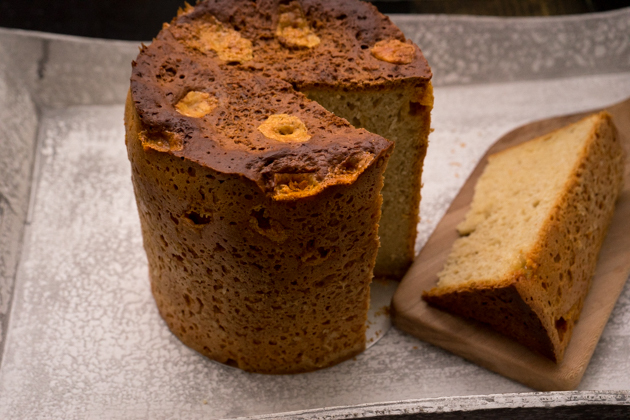 It is a tall domed bread similar to panettone. 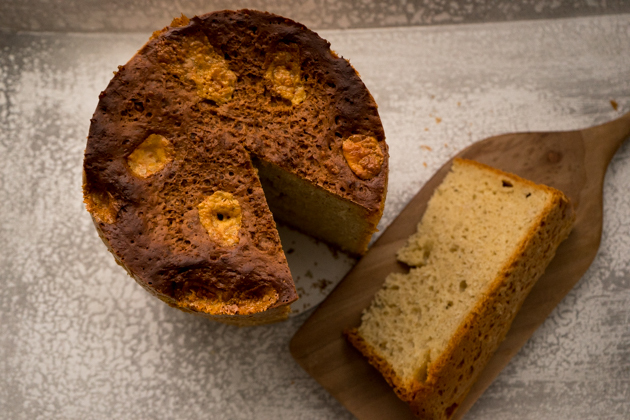 They are both made for Easter and are either flavoured with raisins and lemon or citron zest for the sweet version or cheese and pepper for the savoury version. 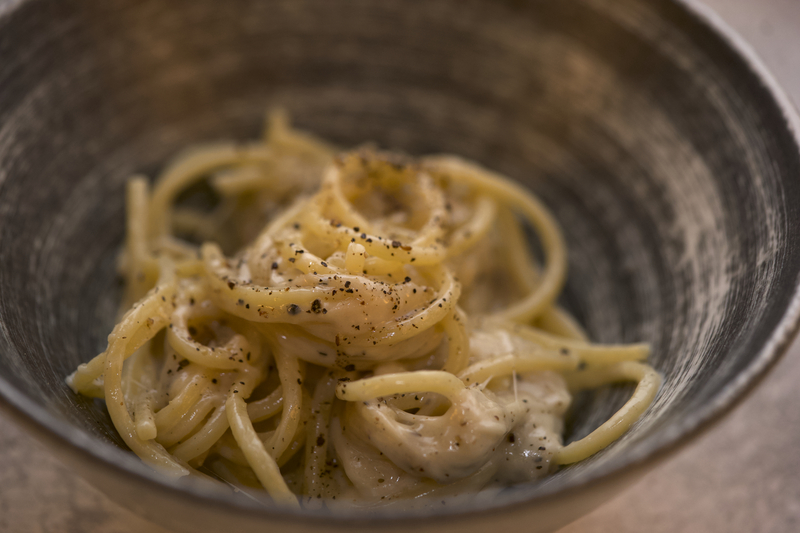 The savoury version is served with salumi and sometimes hard-boiled eggs all over central Italy, particularly for Pasquetta (Easter Monday) when Italians head out of the cities to enjoy picnics with family and friends. 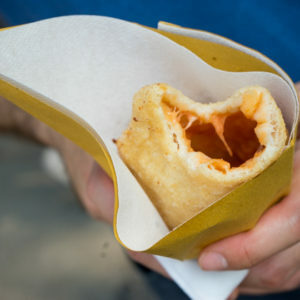 Cubed pieces of cheese can be folded into the dough so that the fluffy bread is dotted with globs of molten cheese. Adding a few of these cubes to the top results in a crunchy, perfectly caramelised cheese crust. This bread takes a bit of advance planning but does not take that much active time to prepare. 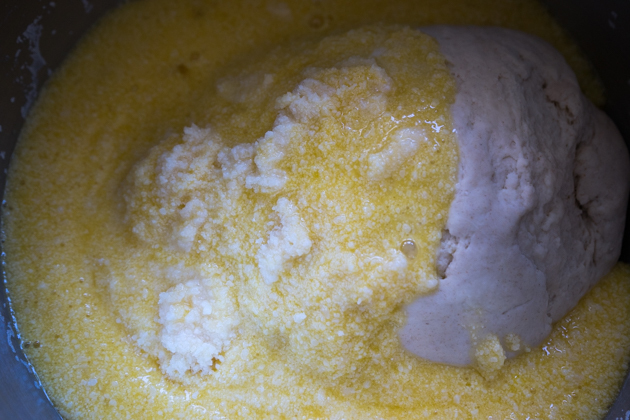 Make the biga (for a step-by-step illustrated guide, see here)by dissolving half of the yeast in the water. 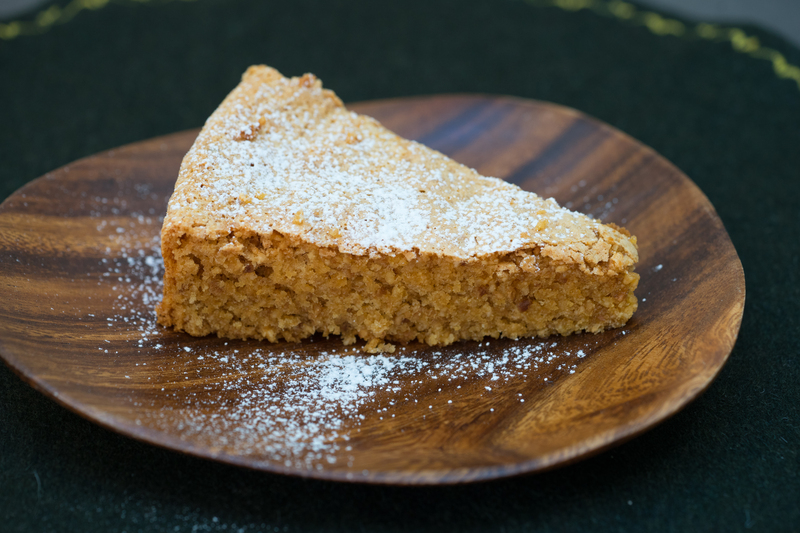 In a bowl, mix together 450 grams of flour and yeast and water mixture to form a dough. 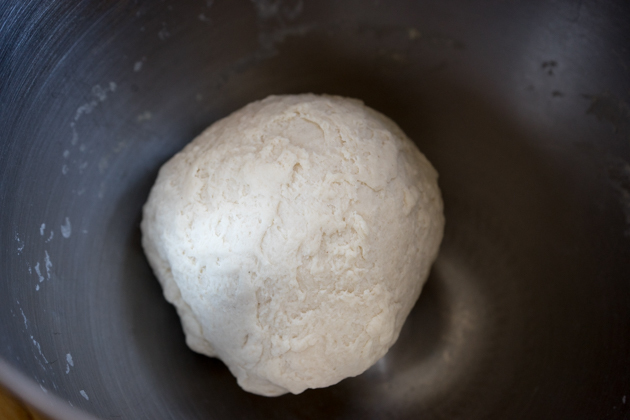 Knead for 5 minutes and form a ball (for a step-by-step illustrated guide, see here). 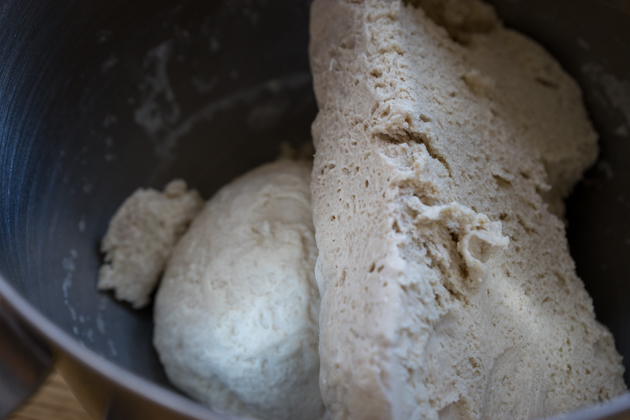 Use a small knife to cut an “X” on the top of the dough. 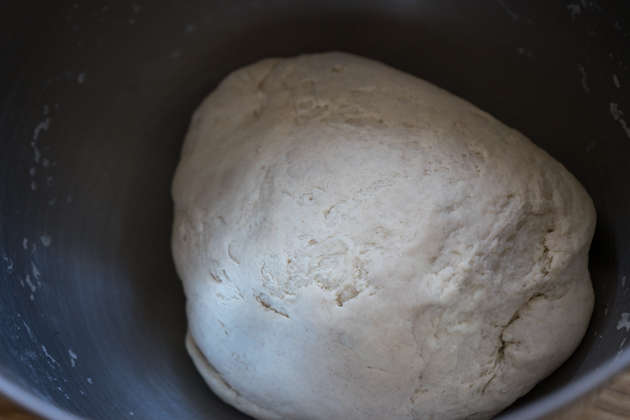 Place the dough in a bowl, cover with cling film and leave it in the refrigerator overnight. Preheat the oven to 200C. Grease a tall (at least 18 cm), straight sided baking tin with olive oil. It is better if it has a removable bottom so you can easily remove the baked bread from the tin. Dissolve the remaining yeast in the tepid milk. Place the flour in a bowl with the salt and olive oil. 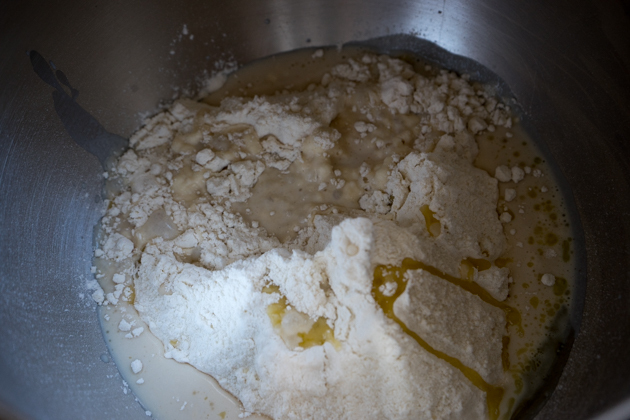 Add the milk and mix to combine, forming a hard dough. Mix together with the biga made the night before. Shell the eggs, placing them in a bowl. 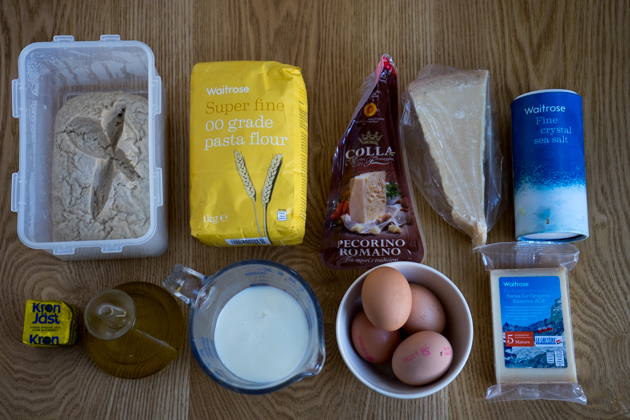 Beat the eggs with a fork and add the grated Parmigiano-Reggiano and Pecorino cheeses. Add this to the dough with the pepper. 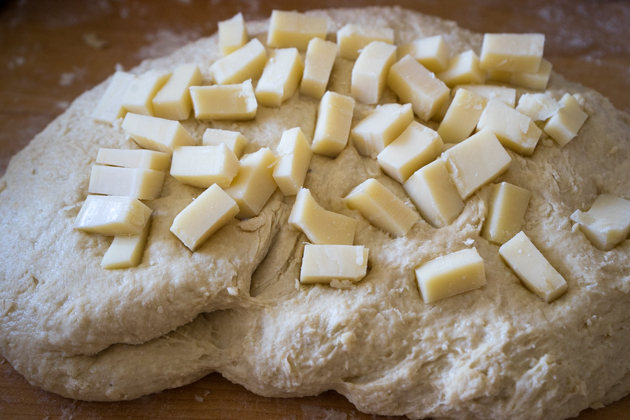 Add ¾ of the cubed cheese to the dough and work it in. 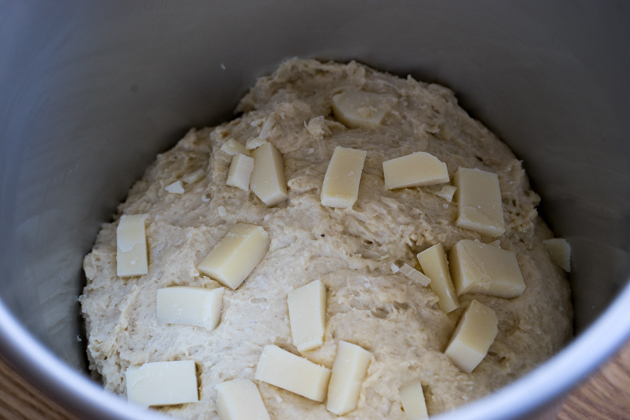 Place the dough in the prepared tin and dot the top with the remaining cubed cheese. Place the tin in the oven and bake for 1 hour and 15 minutes. Check the bread by poking it through with a wooden skewer. If the skewer comes out clean then the bread is ready to be removed from the oven.